Have stayed in this wonderful villa quite a few times as a couple and with friends. We have been visiting Faro Park at least twice a year for the last 7 years and have to say this is by far one of the best villas on Faro Park. Kevin and Gill are extremely helpful & accommodating during the booking process and more importantly contact you when they say they will ! The villa is spotless on arrival - Rose does a brilliant job - and the additional touches throughout the villa make it a place you want to return to. The pool and outside area are also beautifully maintained. The villa is situated on Phase 3 of Faro Park only being a short walk to the small but well stocked supermarket, few excellent restaurants and friendly bars. Just wish I could be organised enough to guarantee availability every time we visit Faro Park ! We were tired and fed up but a relaxing break in this villa restored us! As stated in the title it is extremely well equipped and we could have cooked properly, had we had the inclination. Particularly useful were the shops and couple of restaurants down the road. It’s quite unusual to have good facilities like this within easy strolling distance of a private villa. We also had a few very good meals in Playa Blanca itself. 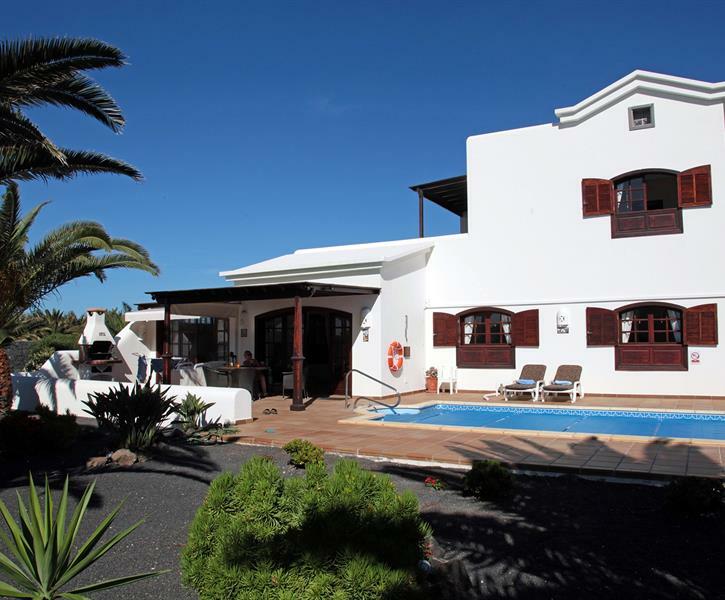 We would definitely return to this villa if going to Lanzarote.